Sometime tomorrow night around 6:30, after all the hype, commentary, commercials and trash-talking, the New England Patriots will take on the New York Giants in Super Bowl XLVI. The game is a big-time rematch between the two teams, who battled each other in the Super Bowl in January of 2007, a nightmarish affair for New England fans hoping the Patriots could complete a “Perfect Season.” Now the Patriots will have an opportunity to exact revenge for that devastating loss. The experts are predicting a close game. They say if there is an advantage, it should go to the Giants. Most of Patriots Nation is hoping those predictions are wrong. I happen to know that they are wrong. A win tomorrow by New England will further cement their reputation as a legitimate football dynasty and smash all kinds of team and individual records. A win will also bring The New England Patriots their fourth Super Bowl victory in just over a decade, no easy feat in the NFL in the age of free agency. But for many, including Patriot team owner Bob Kraft, who probably saved the franchise and kept a professional football team in New England when he took over the reigns and ownership in 1995, the Patriots will be playing this Super Bowl to honor the memory of Bob Kraft’s “sweetheart” Myra. Myra H. Kraft, passed away from cancer last July after 48 years as Bob Kraft’s wife, business partner and best friend in the whole world. 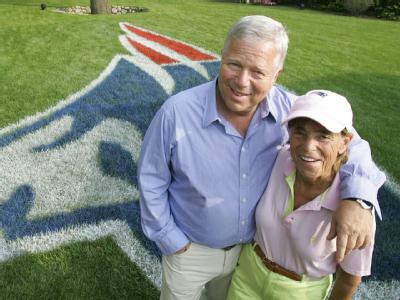 Her death at the age of 68, left Bob Kraft and the millions of others who both loved and admired her, truly brokenhearted. 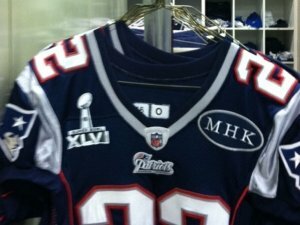 The New England Patriots dedicated this entire season to the memory of the beloved Myra Kraft, and have helped keep her memory alive by wearing a patch with her initials, MHK, right above their hearts on their uniform, all season long. Bob Kraft, who’s been all over the television and radio airwaves talking about this years Super Bowl for the past two weeks, has broken down in a swirl of emotion countless times this week talking about the memory of his wife and how badly he wishes she could be here to see it. For many, in fact, she is looking down from the heavens on the Patriots and may have played a role in the strange gust of wind that drove a last minute Baltimore field goal attempt, wide left, in their AFC Championship game. Regardless of how you feel about “divine intervention,” you can bet the New England Patriots will have Myra on their minds when they go head to head with the Giants in the Super Bowl. 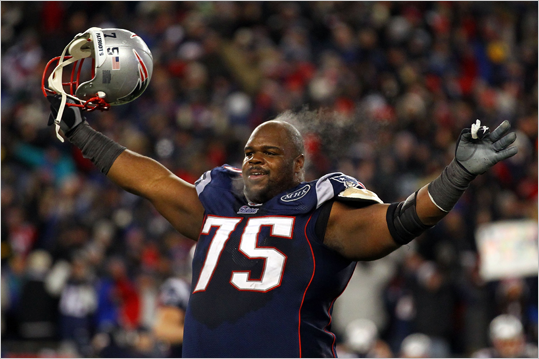 Yup, Wes, Danny, Gronk, Aaron, Deion and the mighty, mighty, Vince Wilfork will all have a giant reason to beat New York tomorrow for Myra Kraft; for the millions of New England fans of all ages; for every underdog and every brokenhearted member of Patriots Nation. Plus, they’ll have the greatest quarterback ever to play in Tom Brady, along with a game plan designed by Patriots coach Bill Belichick, a true football genius. 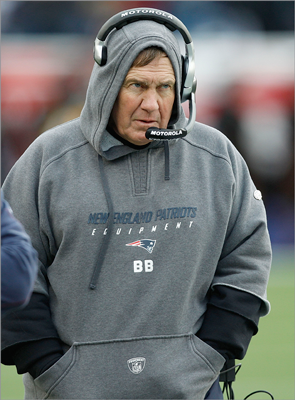 And if that isn’t enough to inspire this Patriots team, there’s always the story of the oil painting. 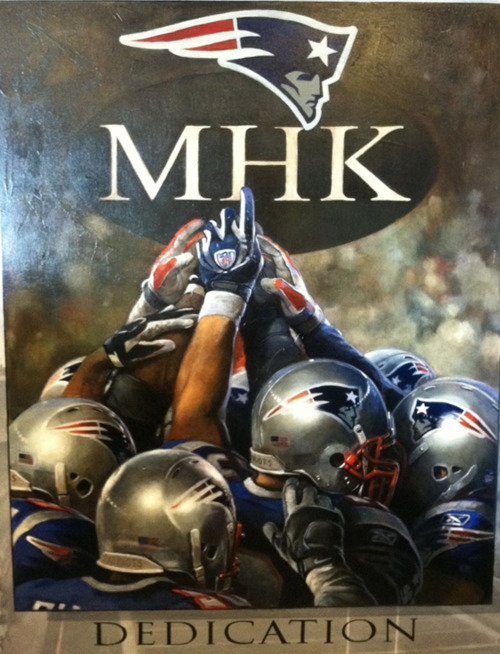 Earlier this season, the Patriots players presented Bob Kraft with an oil painting of the team huddled together under the initials MHK(see above), a gesture that meant more than you could imagine to the brokenhearted team owner. Bob Kraft said during an interview this week that after the Patriots gave up 21 unanswered points earlier in the season, he had somebody place the painting in the Patriots locker room. The Patriots say it at half time and ended up winning that game. So count on that very same painting being inside the locker room in Indianapolis tomorrow night. 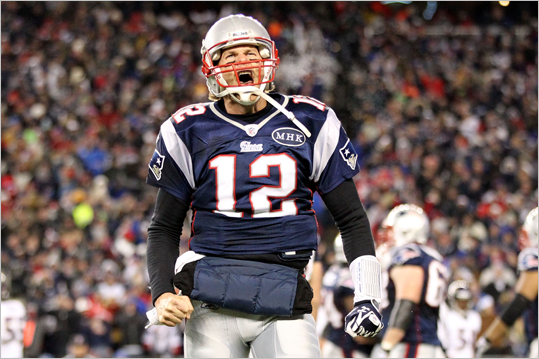 You can also count on a very hungry and inspired Patriots team winning Super Bowl XLVI. And if that happens, you can expect to see the Patriots owner Bob Kraft shed a tear or two for his “sweetheart” Myra, when he accepts the Vince Lombardi trophy on the field tomorrow.